Master Plans and Spatial Analysis are key ARINA signature services. These services often start with a desktop study to determine the Gap of existing space which is compared to applicable benchmarks. Together with consultation and site reviews this analysis is used to determine the capacity of the campus, precinct or facility. Additional consultation guides the development of business cases, project definitions and concepts to suit the needs of the study. Where required this information is further developed into either full physical masterplan studies with a detailed stategic framework of projects or detailed project briefs. Whilst every project has its own challenges there are also unique opportunities and ARINA analyse existing conditions, conduct appropriate consultation and deliver business cases to our clients. These plan options span physical buildings through to Teaching and Learning strategies. This information is suitable for development into full project definitions and briefing or into physical masterplan options. 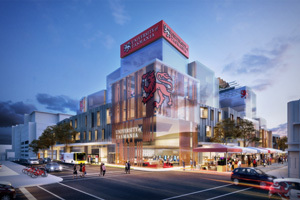 ARINA provided Masterplans or partial Masterplans for four campuses; Sandy Bay, STEM (Melville St), Domain and the MSP. 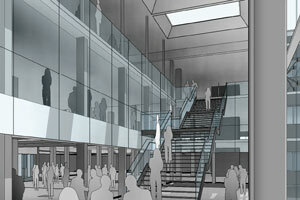 This included all aspects of campus design, including physical planning and visualisations. The STEM project component of this is still in progress. 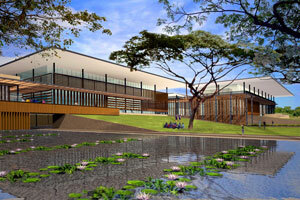 ARINA provided a concept Masterplan for this campus, including notional building designs. UTas has now split Masterplanning between Inverersk (MCR) and Inveresk and the South (ARINA). This included options to rationalise Newnham campus. - Bundoora and Bendigo campuses. 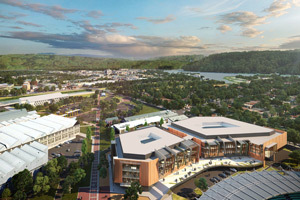 ARINA developed full masterplans for both campuses both of which required full fit-fo- purpose auditing of the Teaching and Learnng suites, library masterplans and retail analysis. - Sturt Precinct Strategy Plan. 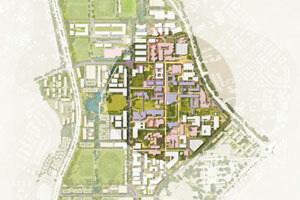 This is a masterplan for a sub-campus of Flinders University. ARINA provided all aspects of this, including physical planning. This project was delivered in two phases, two years apart. ARINA provided all the underpinnings to the physical masterplan, including participating in the physical masterplanning process. ARINA worked with Kerry Hill Architects as the physical planners to provide a masterplan for all academic and accommodation aspects of the proposed Changi campus. As a ‘Design Manager’ we provided the brief and controlled the design process and consultation..
Graham Parry, who is now part of the ARINA team, was Associate Director of UNSW Falcilities Management and responsible for delivering the UNSW campus masterplan. 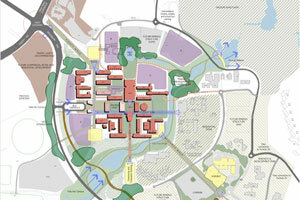 ARINA assisted in delivering aspects of this over a period of ten years, most of which was spent working on changes to the original ‘Chesterman' masterplan which had become ineffective due to the university’s rate of growth.